Are cases getting you down? If your positioning involves a product or strategy, you will always be compared to the next advisor. Become invaluable to your clients with a complete plan. 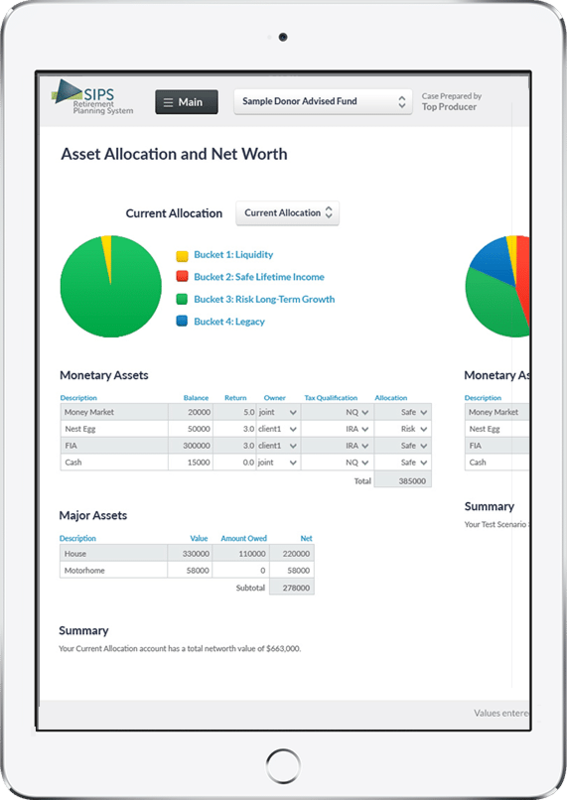 SIPS Retirement Planning System is an integrated suite of tools that will help effectively sell your case, improve client retention & increase referrals. Try SIPS free today. 30 days, no strings attached. Built By Advisors, For Advisors. Since 2009, James Gallagher has revised a system used to “change the conversation.” His multi-million dollar practice has been built based on the game changing software of SIPS.